Brad Miller Presents CLE on Statement of Assets & Liabilities! 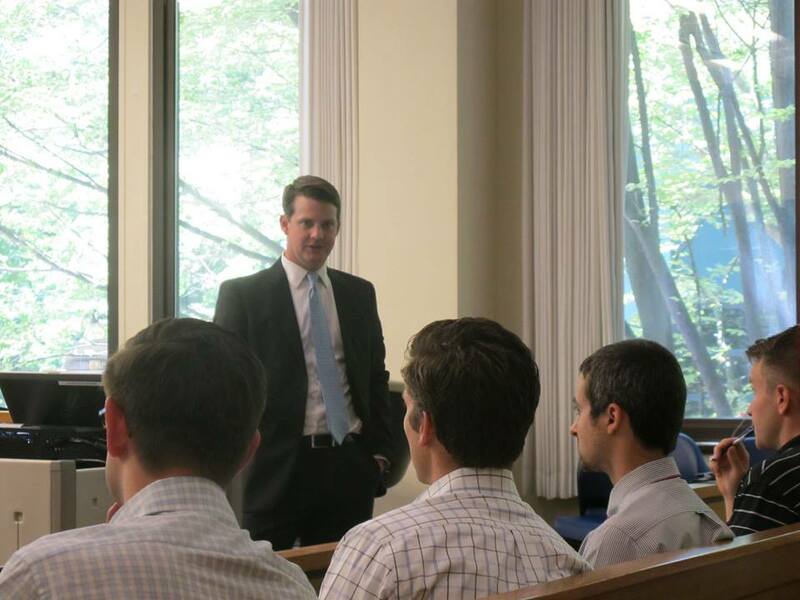 On July 15th, Stahancyk, Kent & Hook Shareholder Brad Miller delivered a Continuing Legal Education (CLE) presentation on the Statement of Assets and Liabilities at the Multnomah county courthouse. The CLE focused specifically on asset valuation issues and strategies. CLE presentations expand and continue the education of legal professionals. The events help attorneys to better serve their clients by keeping them up-to-date on changing subject areas in the legal field. Miller covered the subject of assets and liabilities — everything from real estate to personal properties — in front of a captive audience of young attorneys. He emphasized the importance of mastering the rule OR 8.010, including the importance of an 8.010 spreadsheet, with a handy presentation whipped up by SKH super whiz Danny Kim. The purpose of an 8.010 is to clearly and concisely lay out the finances in a legal separation, and to divide them up in a way that is easy to understand and interpret. The CLE was a success and SK&H is happy to have lent Brad out to help fellow legal professionals better their knowledge and ability. Keep up the great work, Brad! SK&H appreciates all of your efforts to keep the legal community up-to-date and informed.